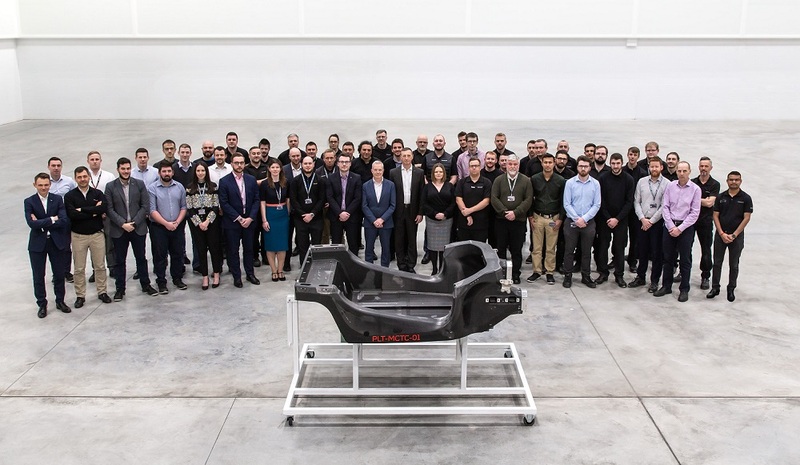 The first prototype carbon fibre Monocell, the tub that forms the main structure of McLaren’s car produced by McLaren has been shipped from the company’s new £50m innovation and production centre in Yorkshire to the McLaren Production Centre (MPC) in Woking, Surrey. Codenamed "PLT-MCTC - 01" - which stands for "Prototype Lightweight Tub, McLaren Composites Technology Centre - 01" - the tub completed its 175-mile journey to the British sportscars and supercar maker’s global headquarters from the McLaren Composites Technology Centre (MCTC). There it will be involved with stringent crash testing duties. Carbon fibre has long been part of McLaren’s DNA, the company having first introduced the material into F1 in the early 1980s. Given the material’s lightweight and strength characteristics, it hasn’t produced a road car without it since.